Highlights from Tuesday and Wednesday (days 3 and 4) from the ACR annual meeting include: the important and impactful abstracts covered by the Rheumatology Roundup session; upadacitinib clinical trials; and the baricitinib CV and VTE safety analysis. Great population-based #gout data from South Australia. Prevalence 6.5%. 1/4 report at least 2 flares/yr but only 1/2 of these are current allopurinol users. Flares associated with reduced HRQoL. More great #gout data from NZ. Only a small proportion undergoing dose escalation of allopurinol don’t reach target. Contribution of adherence vs genes (vs other) in this group still unclear. #ACR18 #870 Dr Khanna: US population survey of self-reported #gout. Prev gout 3.1%. Mean 6.5 flares per yr, but only 2 flares reported to doctor. ULT not predictive of flare prevalence. Is burden of gout higher than we thought? What is your max dose of Allopurinol for chronic gout? 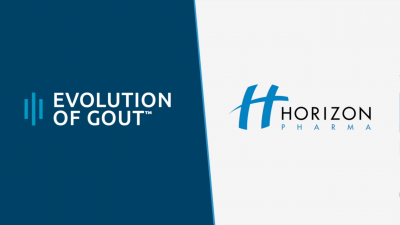 During a fascinating gout session on October 21, Hyon Choi presented an important paper (abstract 874) which used data from the Health Professionals Follow-up Study to try to understand the rapid increase in the incidence of gout in recent decades. Data from over 44,000 men in the HPFS demonstrated that five factors (BMI, diet, diuretic use, alcohol consumption, and vitamin C supplementation) accounted for 80% of the population attributable risk of incident gout. In other words, if we could eliminate poor diet, obesity, and alcohol use, we could largely prevent incident gout. #ACR #871 Dr Major. Data on 16,760 Americans (general pop) show genetic factors have >10x impact on the variance in serum uric acid compared with dietary factors. Dr. Bill Shergy: Abstract on Gout – Does the Name Matter?